Last year, I stumbled across Kima Jones of Jack Jones Literary Arts and thought to myself, who is this literary maven? I began to follow her closely via social media and not too long after, the announcement was made for their amazing writing retreat reserved for women of color. Of course, that was right up my alley! Looking to connect more to the literary community, it sounded like a great opportunity to network with other writers and get some invaluable feedback on work from literary juggernauts. So, I did my due diligence and started working on a story that I wanted to submit as a sample. It may have been something that I started and then decided to finish for the retreat. I gathered my recommendation from Essence Editor Charli Penn and put the rest of my application materials together and submitted. Ha! But hey, it's a highly competitive game and it really knocked me back into the world of wanting to write fiction. I am actually still working on the manuscript that I started just to submit to the retreat so there is a silver lining. Either way, it's that time of year again and I want to encourage you to apply! It's an amazing opportunity and you cannot be afraid to put yourself out there. Here are some of the pertinent deets! The retreat will take place at Blue Sky Retreat, Taos, New Mexico between October 13-27, 2018. There are about 17 Fellowships available to apply for. Jack Jones Literary Arts, the parent company that hosts the writing retreat is a multi-faceted book publicity company that focuses on the work of black women and women of color. Jones, a writer herself, ventured into this world to represent work that mattered and to open up doors for otherwise marginalized voices in the literary industry. 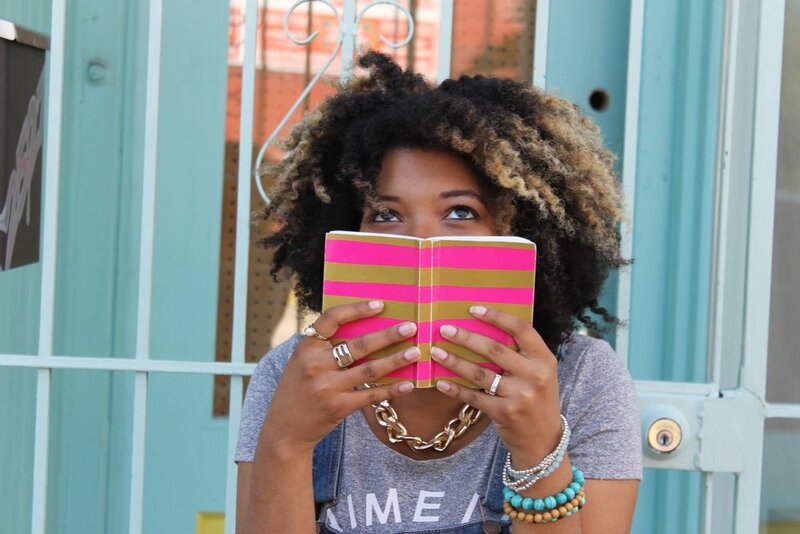 Ashley Coleman is a writer, pen toter, and love advocate that explores life, love, and dreaming in color through words. Follow her @writelaughdream.